On Saturday, October 20th from noon to 4pm we’ll begin Austin Beer Week by hosting our Second Annual Funk n’ Sour Fest at Jester King. 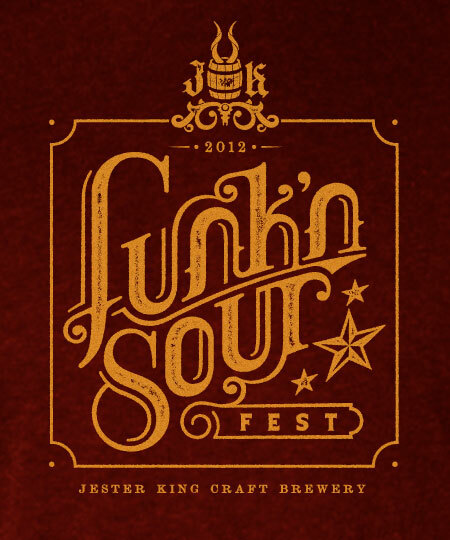 Funk n’ Sour Fest is a celebration of the wild yeast and souring bacteria that are responsible for the sour and funky beers brewed here at Jester King and at other small, artisan brewers around the world. Only 350 tickets will be made available for the event. Tickets are $30 each and include a Second Annual Funk n’ Sour Fest t-shirt, a souvenir Funk n’ Sour Fest glass, admission, access to and use of brewery grounds, a tour of the brewery, entertainment, and on-site parking. We’ll also be offering free 3 oz. sample pours of the all of the following beers. We’ll also have some Le Petit Prince Farmhouse Table Beer available as a calibration beer. The Sweet & Sour Soiree will take place from 2-3pm during the Fest. Seating is limited to 35 guests. Tickets are $25 and can be purchased through the link below. Please note: This is an incremental ticket. Only Funk’n Sour Fest attendees may participate in the Sweet and Sour Soiree.